Today there is sad news of yet another species brought to the edge of extinction by humans. The last Javan rhinoceros in Vietnam has reportedly been killed by poachers. The extremely rare species has now been declared extinct in the country, according to CNN. Although conservationists have tried to save the species in the region, the fight has now ended with this rhino that the World Wildlife Fund (WWF) believes was killed by poachers hunting for horns. In parts of Asia, rhinoceros horns are believed to aid in traditional treatment of diseases including cancer and typhoid. 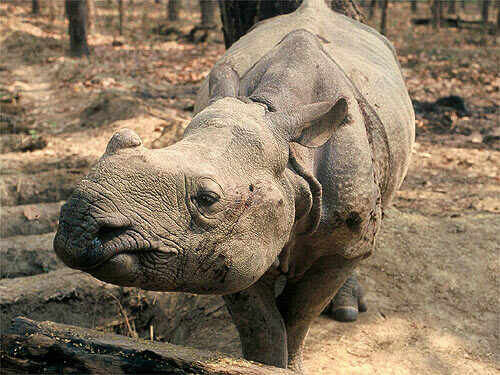 WWF has stated that there is no chance to bring the Javan rhino back into the country. “Reintroduction of the rhinoceros to Vietnam is not economically or practically feasible,” said Dr. Christy Williams, WWF Asian Elephant and Rhino Program Coordinator. “It is gone from Vietnam forever.” There are less than 50 of them living in the wild in Ujung Kulon National Park in Java, Indonesia, according to the organization. Dr. Long said, “For the Javan rhino, we now have to focus entirely on one site in Indonesia where strengthened protection is needed along with fast-tracking the proposed translocation and habitat management.” There are no Javans living in captivity. Hopefully, this species will not be added to the growing list of animals of which future generations will only hear stories.